It's two years this month since I started to write my weekly blog about Cheekpoint and the Waterford harbour area. In that time I've written many varied accounts of growing up, the fishing, the sea and the history and heritage we have in abundance. Most of my favourite pieces are stories that took months to research and write and today I wanted to republish one that didn't get a large audience but which was special to me. 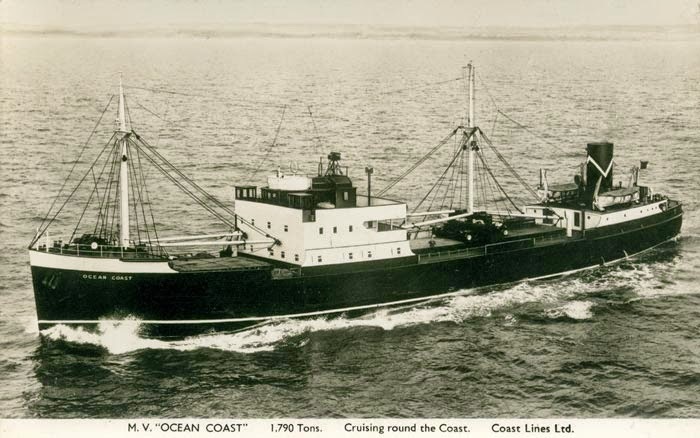 On Saturday night, 12th Nov 1955 my Father, Bob Doherty and two others from Cheekpoint, my Uncle John and Jimmy (O'Dea) Doherty, were departing Liverpool as seamen aboard the MV Ocean Coast in dense fog. The ship was carrying general cargo and bound for Falmouth. The three were just out of their teens, but already seasoned sailors. The first official communication on the night was at 22:10 when the Ocean Coast sent out the following message "Queens Channel, Q15 Buoy, River Mersey. There has been a collision between two unknown ships. I am anchored and sending a lifeboat over. Strong ebb tide running. One of the ships in the collision has sunk"
The collision, it would subsequently emerge, was between a fully laden Swedish motor oil tanker SS Juno and the SS Bannprince which was operated by S William Coe of Liverpool. The Bannprince was crewed by Northern Ireland men and had been built in 1933 in Glasgow. She was 165ft 5" long with a beam of 27ft 2" and a deadweight of 716 tons. 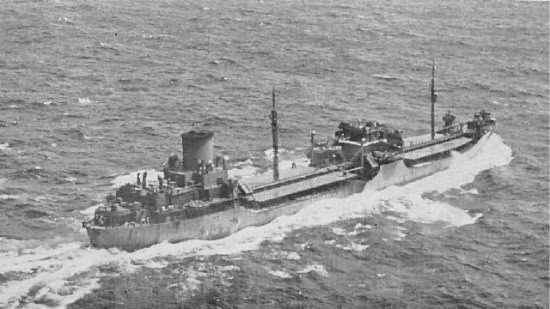 Like the Ocean Coast, the Bannprince had served with a volunteer crew during the war. She helped to evacuate 337,130 Allied troops from Dunkirk between May and June 1940, following this she was taken over for "Unspecified special government services" and was one of the first ships to land at Sword beach during the D Day landings with much needed medical supplies. The Bannprince was outward bound that fateful night, fully laden with coal for Colerain in NI. The first the crew knew of difficulties was when the ships horn sounded three shrill blasts moments before there was an almighty crash and the ship healed over. She would sink in ten minutes and most of the crew of 9 had no time to get a life jacket. Her lifeboats were submerged. In the freezing Mersey the crew did what they could to stay together and help those that couldn't swim into life jackets found floating or other debris that would sustain them. The Juno was entering the Mersey and heading for the Liverpool docks. The Ocean Coast continued to give service into the 1960's when she seems to have been sold for scrap, The Bannprince was risen from the Mersey as she was a hazard to shipping and was sold for scrap to a Dutch shipyard. The Juno, which was only lightly damaged, returned to work. but I couldn't source any further information about her. My father went to sea as a teenager like so many other men of his generation. Himself, Jimmy and Uncle John are now gone to their rest, and with them their best stories. He never actually spoke at home of this rescue and it took a bit of time to actually research it. But then again, it was just after the horrors of the second world war, and events like this were trivial in comparison. Jimmy O'Dea did have a yarn about it however. According to his telling when they approached the men in the water my father, who was an excellent swimmer, had to jump overboard to help some of the weakened men out of the water. Jimmy O Dea and the other rescuers were returning to their ship, when they noticed my father wasn't aboard. They turned back, rowing now with a vengeance only to find my father swinging off a buoy shouting "where the hell were ye then ship mates???" Fact or fiction we'll never know, but my Father would have loved it, the bigger the laugh the better, even at his own expense. My Uncle, Alun Evans, (1923 -2001) a North Walian, was a crew member on the MV Ocean Coast at the time. He also manned the lifeboat and was awarded the same certificate - only snag was they inscribed his name as "Arthur". I still have his framed certificate. She was built at the Leith Shipyard of Henry Robb Ltd, as Ship No 215, one of four "Coast Line" ships built in the early 1930's.